Posted on November 1, 2010, 7:52 pm, by Thomas Hawk, under Apple, Microsoft Media Center. I thought about getting another PC. But there were three reasons why I didn’t. 1. I wasn’t happy with the errors that I’d consistently get on my PC (including this most recent problem of it only working in “safe mode”). 2. Media Center never did a good job managing my large digital library. 3. I needed to rethink my home media strategy as I didn’t like the idea that Microsoft likes to bone you $60 for each media center extender you play netflix on ($180 a year in my case — and really short-sighted thinking on their part when everybody else lets you watch it on their devices for free). I’ve been super happy with my other two Macs and find them much easier to use and less error prone than PCs — so I decided to replace my dying Media Center PC with a MacBook Pro and get AppleTV to work as my new Media Center strategy. So here are the Pros and Cons of this new setup. 1. Music worked perfectly right away. 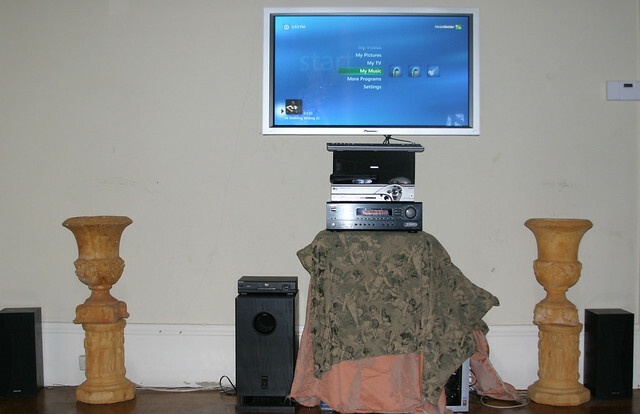 My old Media Center extenders (XBox 360s) sometimes would hang for 15 minutes or more before the music would start. Not AppleTV. I simply turned on sharing on my Mac Book Pro and AppleTV effortlessly allowed me to navigate to my 5 star smart playlist and played the music immediately. For some reason none of my album art ever seems to show up, but hey, getting the music going quickly and easily with a library of almost 105,000 mp3s is *huge*. Good job Apple. 2. 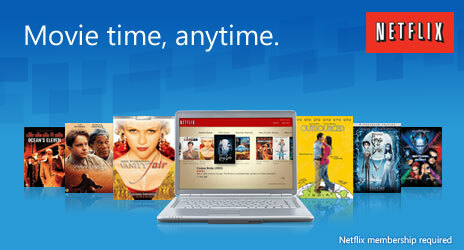 $99 for a media player that streams Netflix for free is a good deal. A Roku would have been cheaper, but I don’t think a Roku necessarily would have played as nicely with my Macs and I wasn’t sure about what music and photos would look like on a Roku. It’s nice also that Apple doesn’t feel the need to charge you a $60 per year tax on their device in order to watch the Netflix content that you are already paying for like Microsoft does. 3. Once you get the photos to actually work (more on this below), the Ken Burns interface is very elegant. 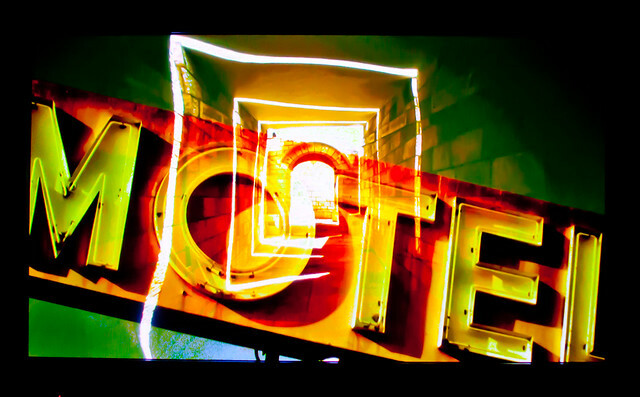 There are a lot of interesting transitional effects that can be randomized and used for watching your photos on AppleTV. Also for whatever reason, my photos feel like they look better on AppleTV than they did on Windows Media Center. Cleaner. Crisper. Sharper. Less Noise. I’m not sure if they are being streamed at different resolutions or if this is just in my head, but the photos seem to look better on AppleTV. 4. It’s nice that I can set a default playlist to my slide shows. With my old Media Center PC I had to start up my music. And then go start up my photos. Twice the work. With my new AppleTV I can just start up my photos and have it remember the main playlist that I set up by default (my 5 star playlist). 5. Netflix is super slick. 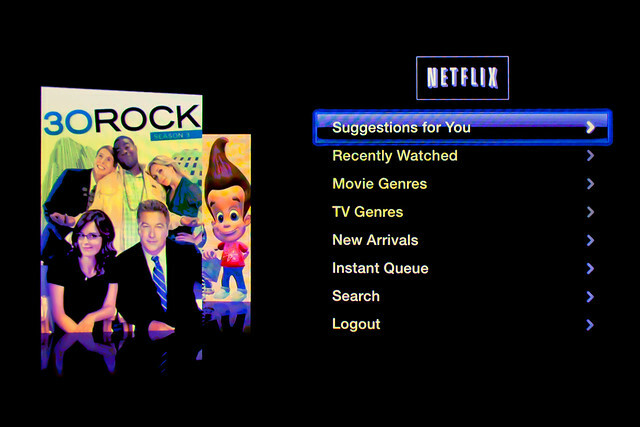 Best Netflix interface I’ve seen yet. Much better than the Netflix interface on the Xbox 360 or the wii. In addition to my queue, it has new releases, suggestions, genres and lots of other ways of elegantly looking up things to watch by the cover art. 6. The kids love YouTube. I didn’t think I’d care much about the YouTube integration, but this is the thing the kids are most excited about and so far have watched the most. My son Jackson really likes watching skateboarding and yoyo videos. There is no shortage of these on YouTube and he loves being able to watch it on the big screen. The kids are already very comfortable with YouTube on the computer, so it was an easy transition for them to the TV. Some of the YouTube videos though wouldn’t load and gave me errors. 7. Movie trailers. It’s nice being able to see all of the movie trailers currently playing in the theater in an easy one page format — this will come in handy when the family is sitting around on Thanksgiving trying to figure out what movie to go see. 8. Design. Both the remote and the unit itself are tiny! I really like that I don’t need yet another big bulky box or big bulky remote control in my living room. Exceptional design from Apple as usual — not only great design, but the device is perfectly silent — unlike the XBox 360 which, although quiet, does make some noise when it operates. I’m guessing that my tiny black AppleTV uses less power than an XBox 360 as well, but have no idea on this really and haven’t looked into the power consumption. 1. Getting my photos to play was an absolute disaster. There are two ways you can share photos for Apple TV (both go through iTunes). You can either point iTunes to a folder full of photos or you can point iTunes to an iPhoto library. Obviously I have a lot of photos. When I first tried setting it up, I tried pointing iTunes to a master photo folder (all JPGs) of mine with about 30,000 photos in it. When I’d launch photos in AppleTV it would act like it was going to load and I’d get a spinning wheel for about 1 minute and then it would just crap out. Nothing. No error message, no explanation — it just wouldn’t load my photos and would go back to the screen it was on before I’d tried to start. I then changed my setup and pointed it to a folder with only 5,000 photos. Certainly AppleTV can handle streaming 5,000 photos no? No. I had the same problem here — same behavior — it just refused to load the images. I tried this with both a wifi connection and actually plugging in an ethernet cable into my AppleTV box. Neither one could get my photos to load. I posted on this problem in an Apple Forum, but the post went unanswered. Apple should offer some sort of disclaimer that unless you are trying to share 20 or 30 photos that pointing directly to a folder on your hard drive might be ill advised — certainly it couldn’t handle folders with 30,000 or 5,000 photos in them. So I gave up on trying to import my photos from a folder and instead begrudgingly decided to attempt to import some of my photos into iPhoto. There are two ways that you can set up iPhoto. By having it create a “Managed Library” or a “Reference Library.” With a managed library iPhoto actually makes a copy of every single photo of yours and includes it in the library. I started out this way but aborted as my iPhoto library was at 50GB and getting larger and larger and I didn’t want to deal with this sort of a mammoth library file, or the space it was taking up on my hard drive. All in all, I spent about 48 hours screwing around with trying to get photos to work in AppleTV before getting 30,000 or so of them accessible. It still isn’t 100% though and performance is still a bit spotty. After getting photos working on Sunday night, when I tried to see my photo library on Monday morning it had disappeared again. I rebooted my AppleTV, rebooted my Mac, launched iTunes and iPhoto and then in a few hours it showed back up again. I’d have expected more from Apple in this regard. 2. There seems to be no way to fast forward a song while you are watching a photo slideshow. I like that the remote is so small and elegant with just a few buttons. Unfortunately skipping to the next song while watching a slideshow with music is something that I’d like to be able to do (and would seem like pretty basic functionality) and I can’t figure out a way to do this on AppleTV. My 5 Star list has all kinds of songs in it. Black Flag’s “Rise Above” is definitely a 5 Star for me. But if your 5 Star list is playing during a dinner party, it might be nice to be able to fast forward it to something a little more mellow, like Damien Rice or Peter Gabriel or Neil Diamond or some other such thing. Same goes for that 5 Star Eminem song where he’s swearing his head off and talking about murdering his ex-wife. Sometimes not the best song to play if you’re hanging with the kids in the living room. I can’t believe that there is not a way to fast forward songs while in slide show mode on AppleTV. 3. AppleTV doesn’t have an option to show song information when songs end and start. One of the things that I loved about my Media Center PC, is that I could turn on a feature that would allow song, album, artist, album art thumbnail information to show on the screen for a few seconds when songs started and ended. Sort of like an MTV video. Unfortunately AppleTV doesn’t seem to allow this and if you want to see what song it was that was playing you have to completely abort the photo slideshow to see it. 4. No LastFM or Pandora. AppleTV does have some digital radio stations, but no LastFM or Pandora. That’s too bad as I love both of those services. I’m not sure if this is Apple locking out these two interesting music channels, or if they don’t want to develop for AppleTV. I’d suspect the former. Why is it that I can have Pandora on my Mac, Pandora on my iPhone, even Pandora on an iPad, just not Pandora on an AppleTV? 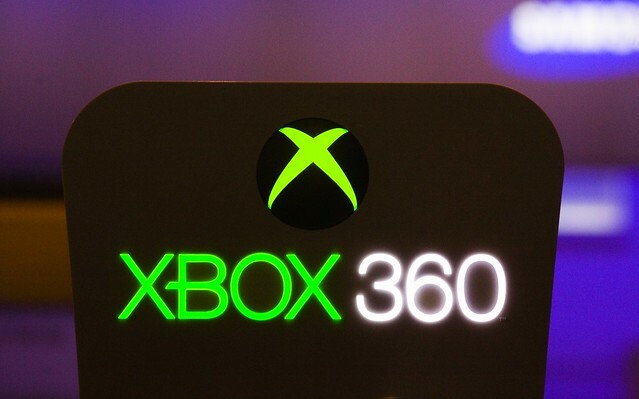 At least my XBox 360s supported LastFM. 5. Some of the prices for digital content feel high. $5 for a movie download? Really Apple? No thanks. It’s cheaper at the Redbox down at the 7/11. $5 is too much to pay for a movie. $.99 is about right for a TV show — but should all TV shows be treated equally? I might pay $.99 for an hour long episode of Mad Men — but for a 22 minute episode of Zack and Luther that the kids want to watch? Children’s programming and programming less than a half hour should be discounted. Or even better, maybe Apple should offer a bulk discount package. 15 hours of TV (regardless of content) for $10 or something like that. 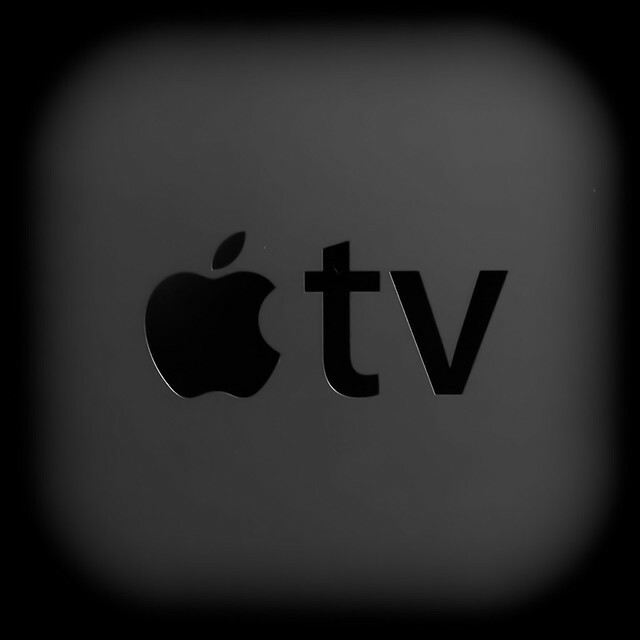 In fairness, maybe this rant ought to be directed more at Apple and iTunes than AppleTV, but since AppleTV locks out all other ala carte content competitors, it seems appropriate for me to mention it here. 6. You must have a TV that has HDMI inputs. A lot of older flat screen TVs don’t. This was not a problem for me in our living room where we have a newer 64″ plasma. But it will be a problem in the bedroom where the old 42″ Pioneer plasma went that doesn’t have an HDMI input. I was able to find this thread about converting component video connections to HDMI, but it feels like a daunting task.